We’re # 21, uh… again? I guess we all peak at 21. 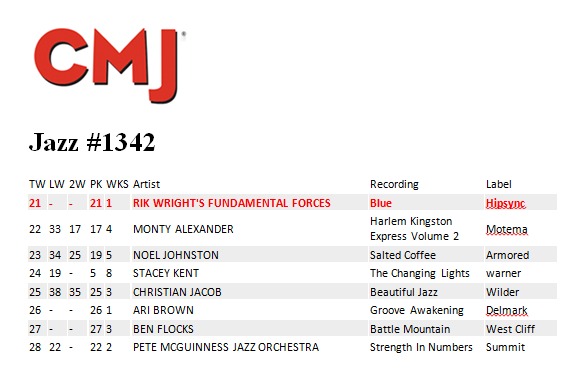 That is to say “Red” hit #21 on the CMJ Jazz charts! 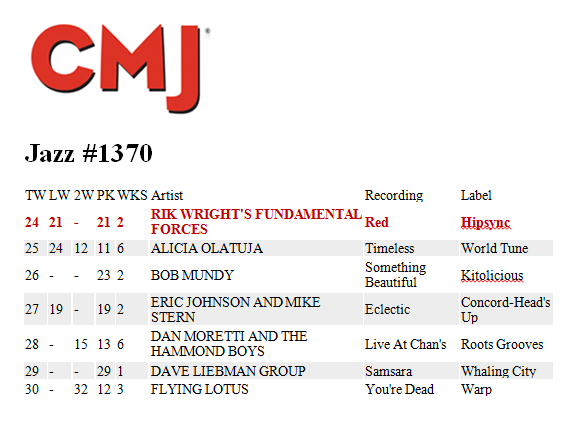 That’s our 2nd CD in a row to hit #21. This entry was posted in Musings, Newsletter, Promotions on November 26, 2014 by Sunrise Pixels.